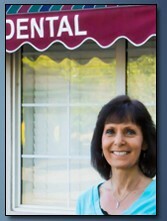 Sandy has spent many years in the dental field. First as a chair-side assistant in general dentistry and several years in Oral Surgery. She enjoys her time as support in administration at Bird Family Dental. She is a native Idahoan raised in the Treasure Valley and then spent many years in cold Eastern Idaho. She has five children and eight grandchildren, several that are here in the Boise area. She enjoys spending family time with them, also attending many sporting events of her grandchildren. Her interests include cooking, gardening, travelling, reading and enjoying lunches with her girlfriends!! 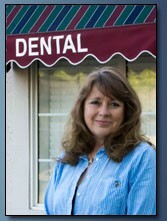 Lynn has been in the dental field for eight years and loves working with patients. She welcomes patients into the office with a friendly smile and helps them feel at ease. Lynn was born and raised in Boise. She has been married for 31 years and has three children. In her spare time she enjoys short trips around the Treasure Valley riding on the back of her husband's Harley and spending time with her family. Karla was born and raised in Pocatello where she started her dental career. 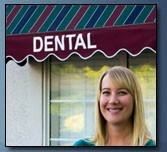 She has worked in many different positions in the business of dentistry. 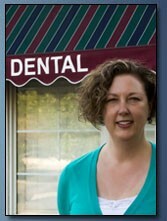 She moved to Boise in 1989 and worked for the same dentist for the past 20+ years. Her favorite part of dentistry is the patients, making sure they know how welcome and appreciated they are. Many of them have become personal friends over the years. In her time off, she enjoys travelling, reading and enjoying her husband and family. Angelina absolutely loves her job! She has been assisting for fifteen plus years and plans on many more. She enjoys making patients feel comfortable and at ease with a big smile and a fun sense of humor. Angelina is a Boise native with a thrill for travel and adventure. She spends her free time with her family playing the ponies, racing cars or taking a ride on the greenbelt on their cruiser bicycles. 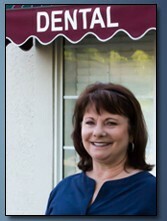 Wendy has been a hygienist for over 26 years including 12 years specializing in gum disease. I have found my dream job working with the most amazing dentist and equally impressive staff. She is from upstate NY and has spent over 13 years in Boise and loves the kindness of all the people here. She loves being close to family and enjoys watching her new baby grand daughter grow up. She loves to garden, playing with her dogs and renovating her 1950 home with her husband.